See the back view of the carving. The leopard carvings are hand made in the townships of South Africa. Our Gxx codes denote individual pieces. 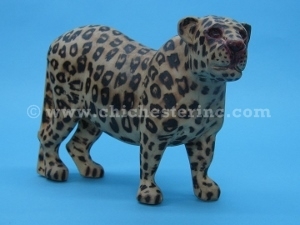 If you would like to order a specific leopard carving, please go to our Gallery to pick the exact one shown.